passion in it. I am so grateful! Many people are asking me all the time when the follow up book about Burns will be released. find a publisher please contact me!!! In my blogg you will be able to follow the work with the book from now on. Peter Farrell in New Zealand. It is a marvelous guitar. The only double-neck Burns ever made. 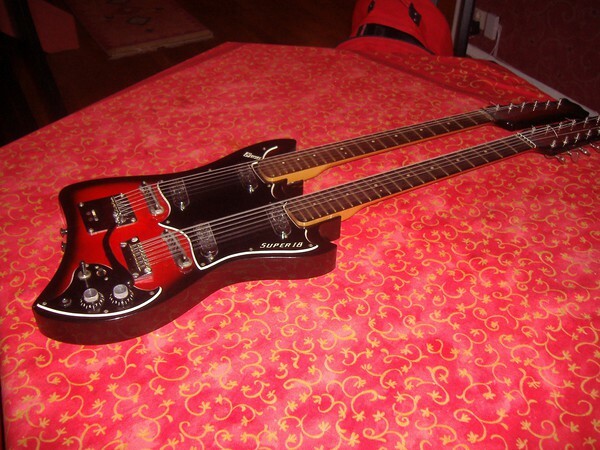 One six string and one 12-string. And it works. The problem with this guitar is to keep it in tune. I think that Jim should have changed how the neck is screwed to the body if he had made a serial product. But it is nice to look at. 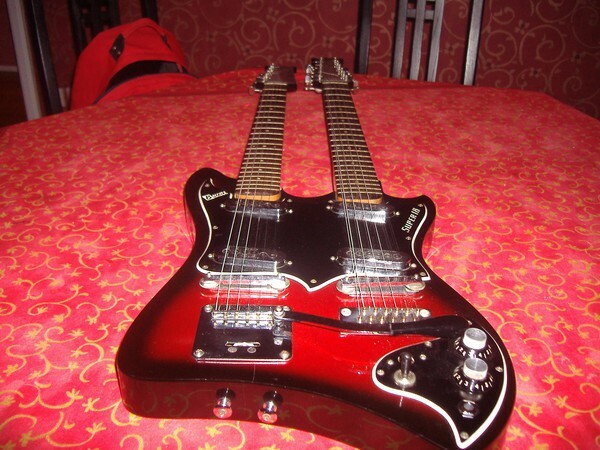 The pick-ups were Tri-Sonics so the 12-string sounds like a double six and the sixstring like an vibra-artist. I am sorry he did not developed it. But the problem with Burns is that he often started with a new guitar before the old one was on top. You will learn much moreabout this guitar in the book. As this will be book no 2 - the double neck must be the right guitar for the front page. about the story and the people behind the guitars and with more wonderful pictures.